French Morbier Clock, 8 1/2-in. dia. 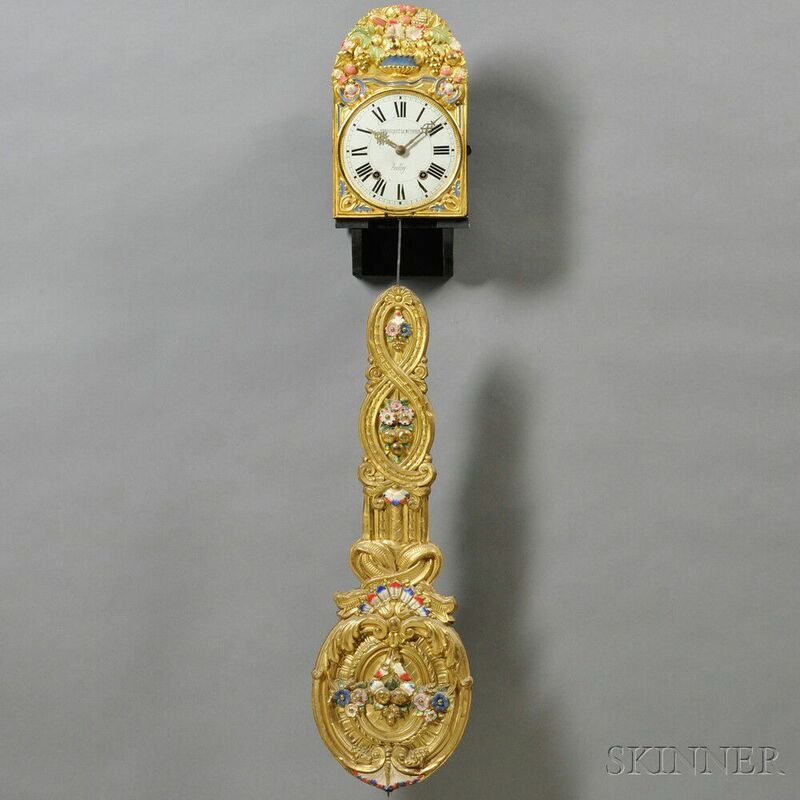 enameled dial with Roman numerals, marked Henrichote le Metayer Pontivy, pressed brass dial surround with painted floral decoration, eight-day time, gong strike, and prayer repeat movement, two cast iron weights and floral decorated and painted pendulum rod, ht. of dial and surround 15 1/2 in.